This gated development includes its own golf course (designed by Tom Fazio), so it’s fitting that it should have direct lift access, too. 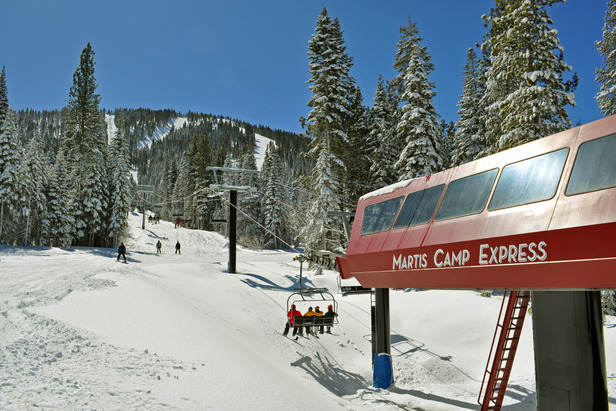 Martis Camp is a community of luxury homes spread across more than 2,100 acres at the base of Northstar California’s Lookout Mountain, and homeowners enjoy near-exclusive access to the Martis Camp Express (owned and operated by Vail Resorts). The lift’s terminus sits at the end of a private road that’s open only to Martis Camp members and guests, who can drive right up to the lift: A valet parks the car, leaving riders with a 100-foot walk to the lift’s loading dock. The high-speed quad takes six minutes to climb 1,722 vertical feet and deliver skiers and riders to the top of Lookout Mountain, where they can easily access any part of Northstar’s trail system. And lift lines are nonexistent because the only members of the public that can use the Martis Camp Express are those who have skied down Lookout and need a ride back up—and those numbers don’t start trickling in till midday. More spoilage: Adjacent to the Martis Camp Express, the private, 8,000-square-foot Lookout Lodge provides ski storage, boot-warmers, fireside lounges and a restaurant—everything you’d want in a standard ski lodge, but these amenities are available only to the Martis Camp crowd. 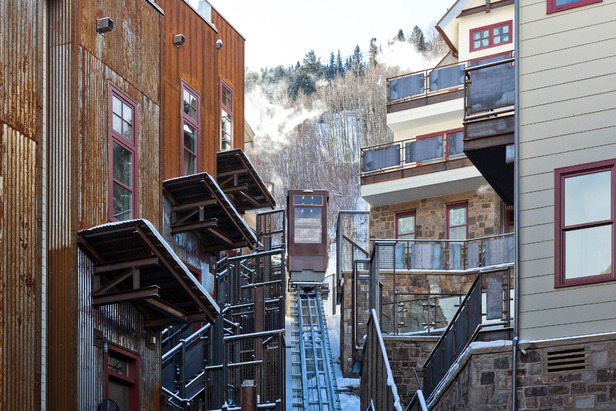 They might not be chair lifts, but riding in one of these Telluride private funiculars is definitely traveling in style.